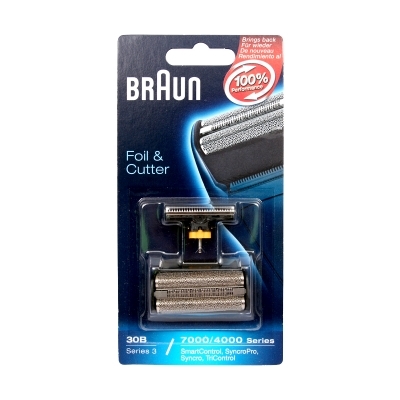 The Braun 7000/4000 foil and cutter pack fits Syncro, SyncroPro, SmartControl and TriControl Braun shavers. The 3 stage cutting system with twin foils and an integrated cutter is designed to shave both long and short hair in one stroke. To ensure the best shave it is recommended that you replace your foil and cutter every 18 months.